All new things to do with the website! Wild Hair Forum Section!! The Community Needs YOU! Come say hello to the community! Be part of our community and join in the fun! 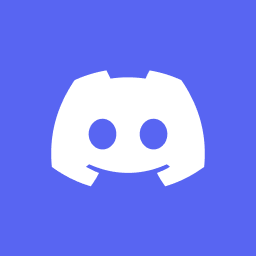 Check out any information here in regards to our Discord channel. Sign Up & Sign In With Discord! Check here for our in-world group information so you can join them and keep up to date! All new releases from Amaretto! Horse Update 6.0 is in Alpha Testing! Helpful guides for starting breeding! If you need any help with your Amaretto animals, check here for directions on where to go to get your query solved. All of Amaretto's website links you should know about. Amaretto Website Links You Should Know! Have any ideas for Amaretto traits or products? discuss them here and let the community know about it. Search & Post Your Own Wild Hairs! Take a look here for information you need before submitting your designer creations to AMOC! Here you will find posts for upcoming meetings. Miss a meeting? You can find minutes from the previous Monthly Meetings here! Register here for the next hunt! Register here for AMOC's latest contest! Click here for SLURLs to all the AMOC donation locations. Want your own marketplace sub-forum? - Just send @Bastian Hax a message with the name of your marketplace and one will be made! Check in here for any live patron auctions coming up! Who doesn't like to give away to a good cause? - Post one in here if you have one coming up! Coat: Limited Edition Gold - Happy 5th Birthday Amaretto!